Book reservations for a group! Get discounts for group sailing on Delray Yacht Cruises. 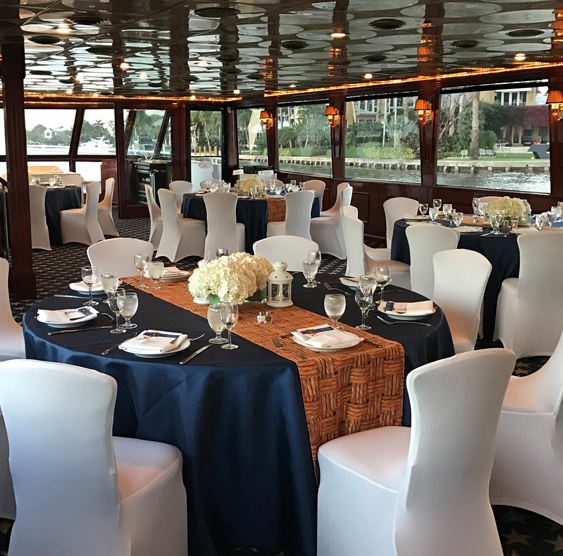 Experience the calm waters of the Intracoastal Waterway aboard the Lady Atlantic & Lady Delray while enjoying your favorite beverage or snack on a two-hour narrated tour past some of the area’s most beautiful mansions. Experience the calm waters of the Intracoastal Waterway aboard the Lady Atlantic & Lady Delray while enjoying your favorite beverage or snack on a two-hour narrated tour past some of the area’s most beautiful mansions. See a variety of marine life in its natural habitat. Learn a little about the area’s history. Cruise from Veterans Park on East Atlantic Avenue, Delray Beach south to Boca Raton. There are also occasional cruises north towards Manalapan Island. Delray Yacht Cruises also offers Holiday Lights Cruises during December and Sunset Cruises on select evenings. 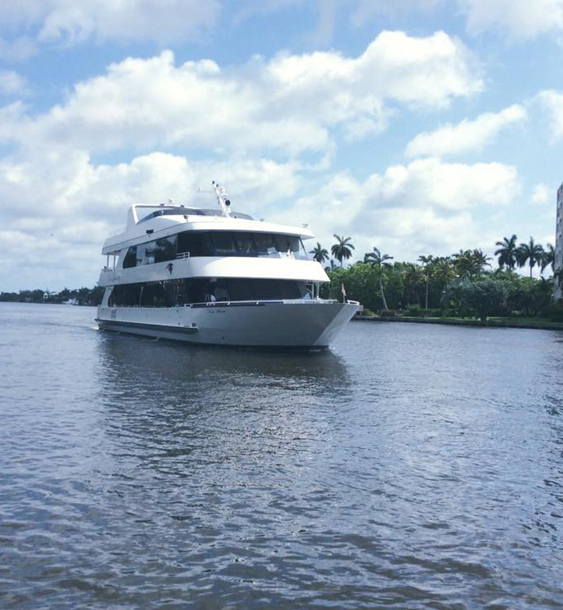 Delray Yacht Cruises has been offering cruises in Delray Beach since 2003. Thanks for cruising with us! Palm Beach County’s only experienced charter yacht operation features the area’s newest and largest yacht, built in 2008, comfortably seating 120 people for dinner. Conveniently located in Delray Beach & also serving the Palm Beaches & Fort Lauderdale. Contact us at 561-243-0686 for more information. Hop on a cruise tomorrow and enjoy one of our festive cocktails with your favorite peeps!